Dark brown sugar is simply refined white sugar to which molasses has been added. It contains 6.5 percent molasses compared to the 3.5 percent in light brown sugar. For much of human history, the most readily available sweetener was honey. The sugar cane used to make much of the sugar we use is originally from New Guinea and would eventually make its way to Asia and to the Middle East around the 4th Century BC. Sugar cane was known for its sweetness, but its sugar content would not be exploited until later in history. By the Middle Ages, sugar would be known in Europe as a rare and expensive commodity. It was not until the 19th century that its refinement became industrialized and it was made affordable enough for the masses. Up to this point, the sugar produced was unrefined raw sugar. It was in the late 19th century that the production of refined white sugar began. The white sugar industry rose to prominence by painting brown sugar as unhygienic and less pure. 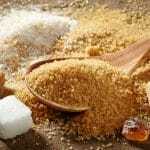 Today, the different types of brown sugar are widely used in baking. 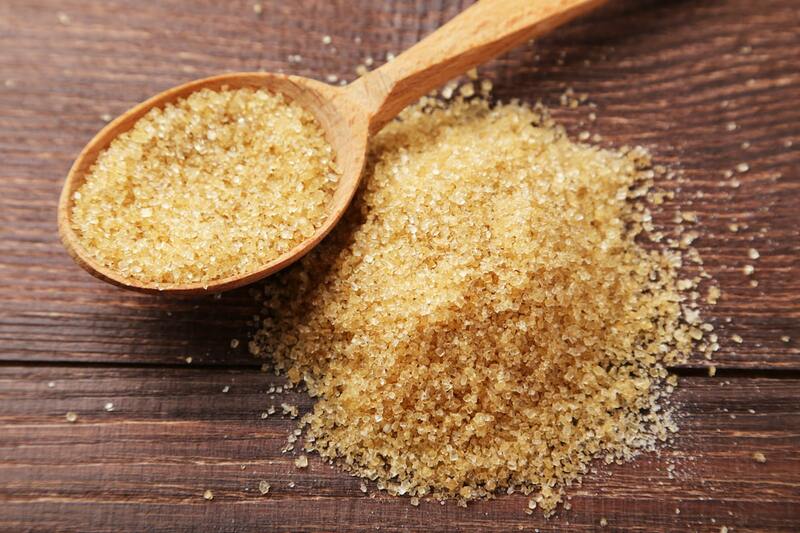 The main function of dark brown sugar is to provide coloring and flavor to foods. 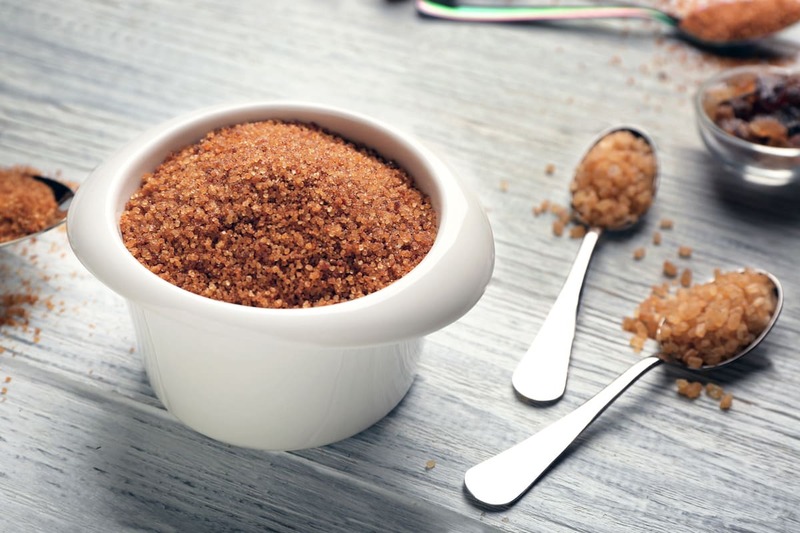 When it comes to taste, the big difference between dark brown and light brown sugar is the concentration of molasses and the intensity of the molasses flavor. The molasses content gives dark brown sugar strong notes of caramel and toffee along with a hint of acidity and bitterness in the aftertaste. As a result, its flavor profile is deeper and considerably more complex when compared to light brown and white sugars. Minerals: Dark brown sugar contains traces of minerals like potassium, calcium and iron that are not found in refined white sugar. Potassium is an electrolyte, which means that it conducts electricity in the body. It is important for heart function and muscle contraction. Calcium is used to build bones while iron is an important part of hemoglobin. Hemoglobin is used to transport oxygen throughout the body. B complex vitamins: Molasses contains B vitamins, which means that dark brown sugar does as well. B vitamins have many roles including helping to convert food into fuel and maintaining healthy skin and hair. They are also important for fighting dementia. It is important to note that the nutrients above are in trace amounts. Nutritionally speaking, there is no significant difference between dark brown sugar and white sugar. 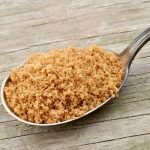 You are not likely to see any health benefits from using dark brown sugar as an alternative to refined white sugar. While light brown sugar is used to provide a milder caramel flavor, dark brown sugar provides a more intense flavor that is perfect for barbecue sauces and for baked goods. Cookies are known to benefit from its higher level of acidity; the extra acidity in dark brown sugar keeps chocolate chip cookies from spreading and helps them to rise instead. The additional moisture from the molasses helps to make them moist and chewy. Gingerbread also gets its moist texture and deep brown color from the use of dark brown sugar.